A guy who cheats on his girl might regard himself as a good guy because he spends money on her. On the other hand, a guy who is stingy, temperamental and insensitive could score himself as a good guy because he doesn’t cheat on his woman. Essentially, labeling a thing as good usually opens room for wide debate. What is good for one woman may be bad for another. But we will all agree that there are ‘universal’ expectations as to how a responsible guy (bachelor) should comport himself to befit the status of a good man. A good man must be responsible enough to realize that he is a man. He is a provider. He has been automatically cast by nature to take the lead role. By virtue of his perceived strength, he is a role model He should be focused, intelligent and fore-sighted. He must have concrete plans for his future viz self, family and career development. A good man should be humble and ready to sacrifice. A relationship is like building a house. You have to cast aside bad and weak bricks, and use good strong ones for construction. Sometimes, you have to tear a part of the building down to get a better structure. You also have to bear the pain of hurting yourself while building. You will also agree with me that two people might spend the same amount of money on a building but the result will vary. A good man must be ready to prune off the bad sides of his partner. Plaster her with wisdom and corrections, and then paint her with love and understanding to produce a beautiful and durable structure that would be the envy of all. A good man should live with the understanding that he is a ‘vision builder and helper.’ His woman looks to him for advice, support and direction and he should be ever ready to provide it for her. Perhaps there wouldn’t be a Tara House of Fashion today if there was no Fela Durotoye as a pillar of support for her. A good man needs to believe firmly in the vision of his girl, and should be a source of inspiration to her. A good man knows his woman: her inadequacies, strong areas, likes, dislikes, fears, temperament…..virtually everything about her. A good man should be a rock for his girl. A shield. Her refuge and safe haven. He should be the one to caution her about her pettiness. Advice her, as a man, on how to behave properly in public, with friends, family etc. Truly ,no woman is an angel. Women have their faults, but a man has to overlook his girl’s shortcomings sometimes and focus on her strengths. No woman is perfect, so there will be lots of things that she’s not dong right. If she is not as courteous as you would want her to be, you should take the lead and subtly teach her about the essence of etiquette. Envelope her with love and care while shaping her into a lady of class and status. If a woman has some negative or irritable habits like procrastination, lackadaisical attitude or lying, the good man should act like a father and nurture her into a better person. He should see beyond her physical beauty and seek out the beauty of her soul. A good man should be forgiving. He must regard every mistake of his girl as bricks that will build a strong relationship foundation. A good man should be ready to be a good father. 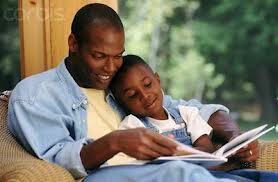 A shaper of upcoming generations, for men have the solemn responsibility of being the head of the family. A good man is a diligent male. The pride of his woman. And the glory of his family. A good man is an asset any woman would die to have. Brothers, the mantle has been thrown to you. You cannot give what you do not have. Equip yourself and work towards being the best that you can be. No woman wants to be hooked to a loser and failure.